The launch of the MRT first complete line from Sungai Buloh to Kajang was done with much funfair on and prior to D-day of July 17, 2017. 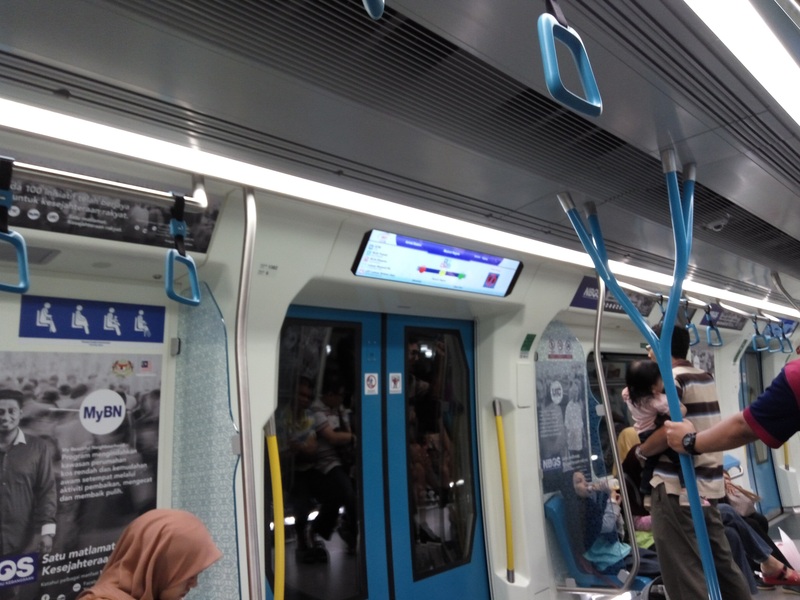 As an avid public transport user and advocate, I too went on to test out the MRT line. My wife, daughter and I fancied having our favourite satay at Restaurant Malaysia, Kajang. So we took the LRT from Taipan station to KL Sentral to change to the MRT at Museum Negara. Where is the link way? So which way is Museum Negara MRT station? 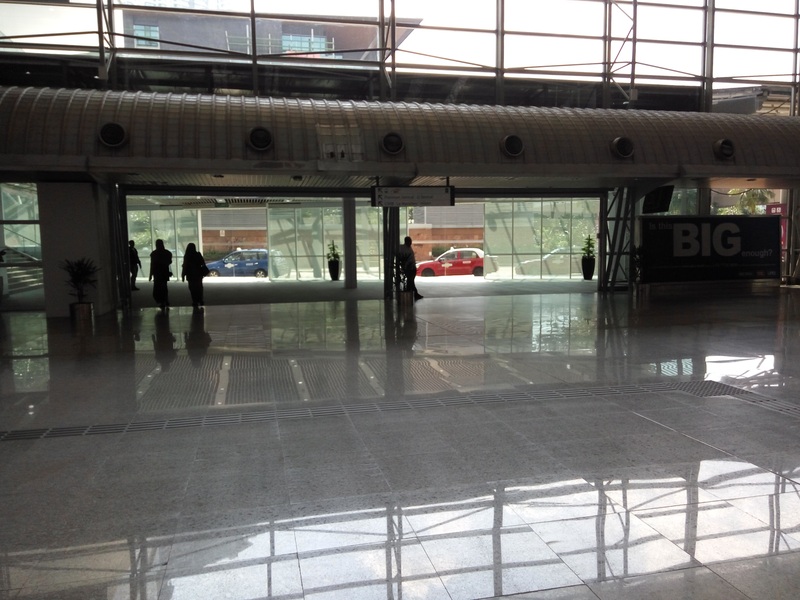 Coming from Nu Sentral mall’s direction, the link way to Museum Negara MRT station is just beside McDonald on the right. But you will need to walk right near the entrance to spot the MRT logo. Spot the MRT logo & you will know where to go! Once inside, you will need to have very good eyesight to spot the tiny MRT logo on the signage inside the huge hallway (which was partly the waiting area for the ERL previously). Then it is a matter of “follow the crowd”. You will reach the “very deep” underground Museum Negara MRT station. Where’s the contingency plan when technology fouls up? 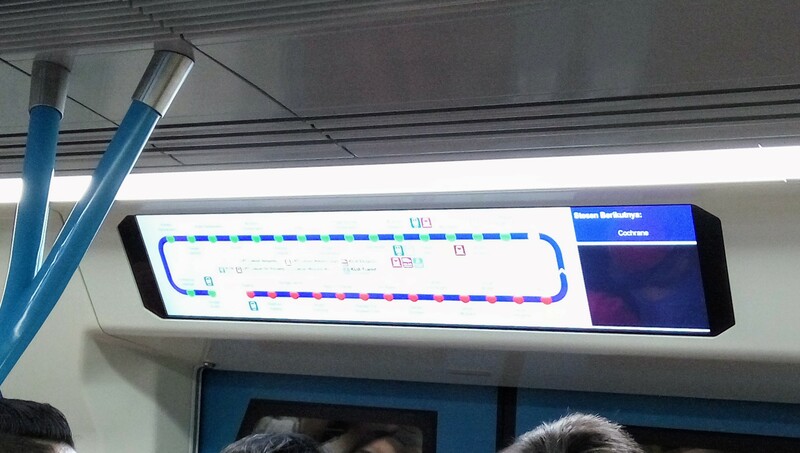 The MRT train that we boarded at Museum Negara had problems with its “station indicator” LED screen. This was made worse by the fact that the audio announcement of impending station was linked fully with this. So if one kaput, all kaput!. The MRT coach was well lit. So when we stopped at an underground station, one would have to literally step out of the coach quickly, and look for the signs that tell us which station we were at. 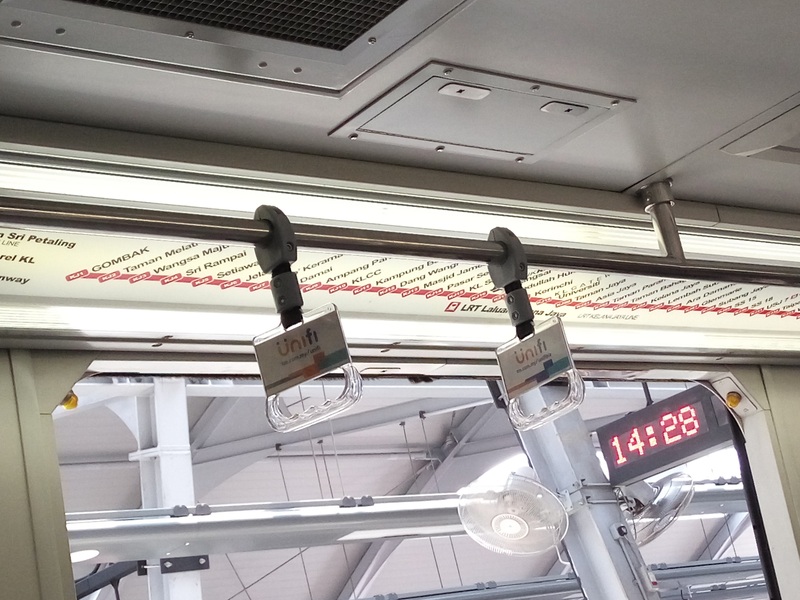 There was also not a single Sungai Buloh – Kajang MRT line map inside the coach (there would be many places to stick this), so we could not even use the age-old system of counting station to know where we were! When it is working, this thing is great! A tried and tested, simple map to show the MRT line like this on the old LRT coach will be great! We should not place so much faith in technology working every time. A simple map of the MRT line like that found in the older LRT coaches would “insure” against the electronic announcement system (both audio and visual) failing. 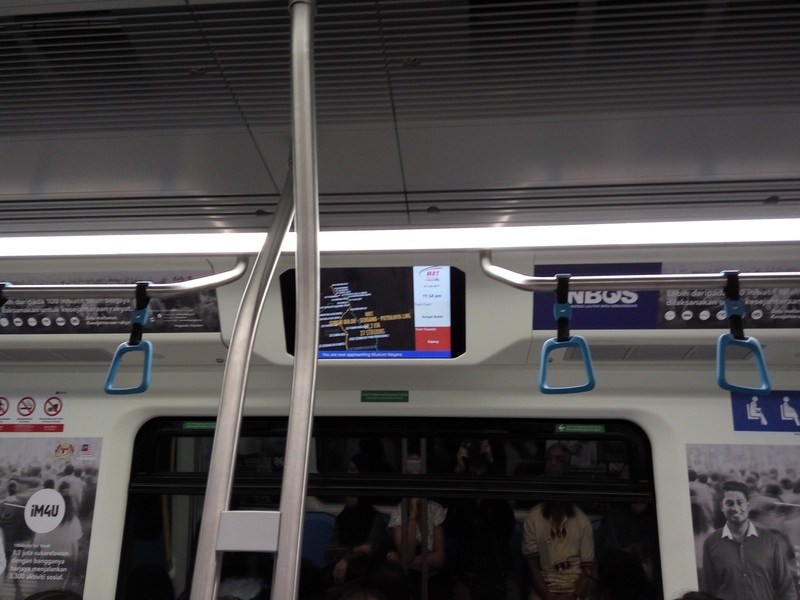 Plenty of space in MRT coach to stick more useful information like stations along the line! Instead of these self-congratulatory stick-on posters, why don’t we have useful information like a line map, bigger sized full RapidKL rail system map etc. put up? One of the side benefits of the MRT line – Kajang satay vendors could not cope with demand! Kajang satay, it’s worth the trip! We reached Kajang and went straight to Restaurant Malaysia for our favourite satay. We were lucky to have arrived 5 minutes earlier than the crowd. Many were eyeing our table! The MRT line really shortens the distances between towns within the Klang Valley and the first economic benefits felt in Kajang is the sale of satay! Many more economic benefits shall follow! We went home from Kajang Stadium to USJ by changing form the MRT to LRT (Kelana Jaya line) at Pasar Seni. The sight was great but I was more attracted to the seamless transfer between the two lines. This is the most crucial factor to ease the congestion (of people getting out of one line and joining into another). You will also be fully protected from the elements getting from the MRT line to the LRT. I feel that if more seamless transfer can be made available, it will make life a lot easier. 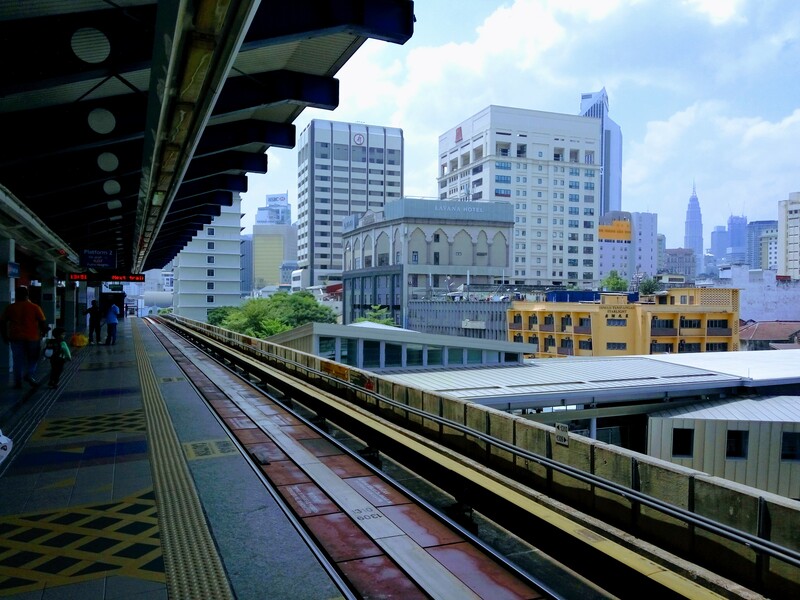 One candidate up for seamless transfer will be the Monorail and LRT at KL Sentral. Despite what the critics have said, I think the MRT system is a great addition to the Klang Valley public transport system. It will surely bring up the economic value of properties around the stations. Kajang folks have already seen more visitors than before! If the teething issues highlighted by yours truly can be looked into, I think the MRT system, which has broader coaches (thus steadier to ride) will help to convince more people to follow yours truly, to take public transport as the first option. The only thing that is stopping this is the last-mile linkages which is still very rudimentary. Feeder bus service (more lines and more frequent services) need to be extended in coverage and hours of operation. It is often the last-mile issue that forces people to have to drive. Signage or lack of them in some stations needs to be inproved. I was at Bukit Bintang station and directions to platforms were printed on A4 photocopy paper! Surely, you can’t save on such essential features just to be able to boast the project was below budget. Obviously those who conducted the trial runs didn’t get enough feedback, if at all, from actual regular commuters and users. Maybe they did from their colleagues. Free rides and feedback forms prior to.launch would have resolved problems.